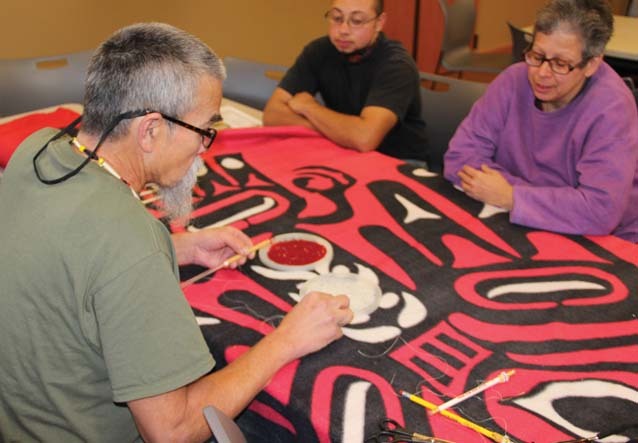 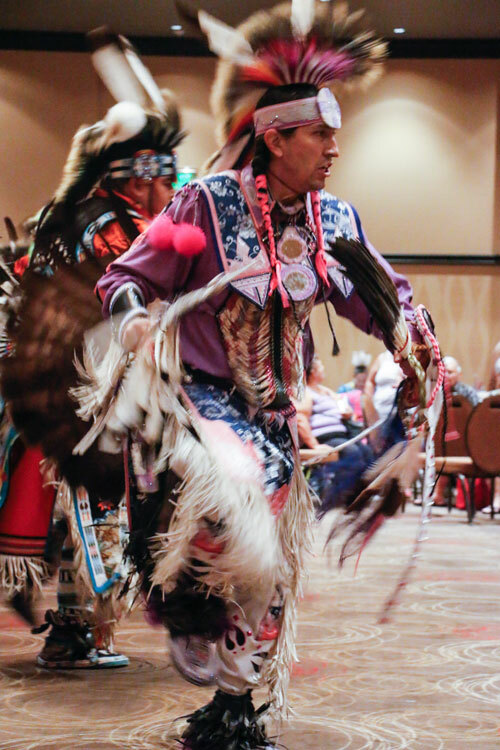 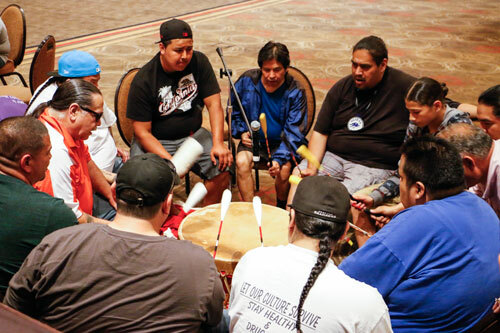 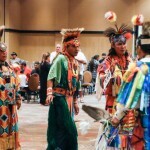 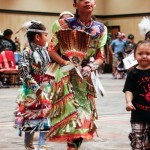 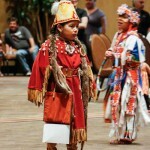 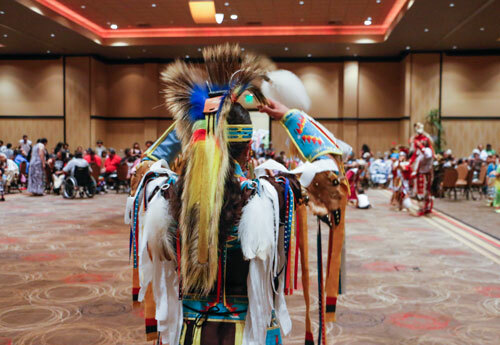 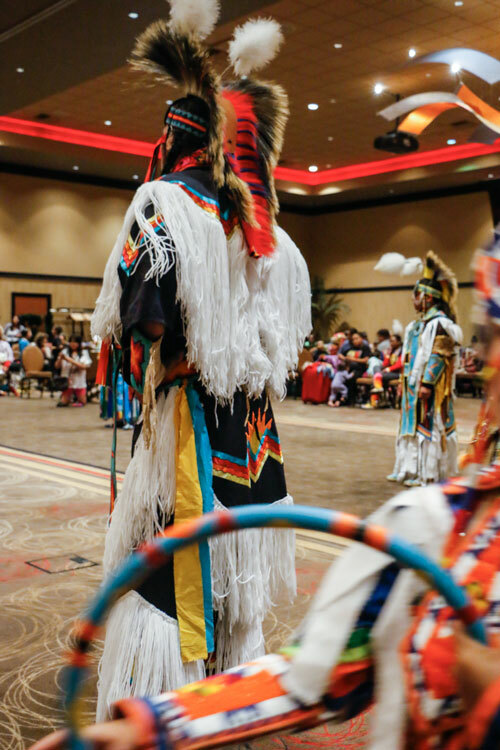 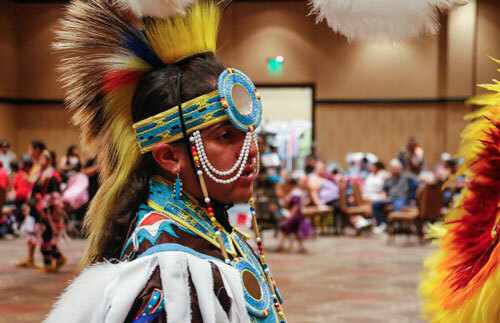 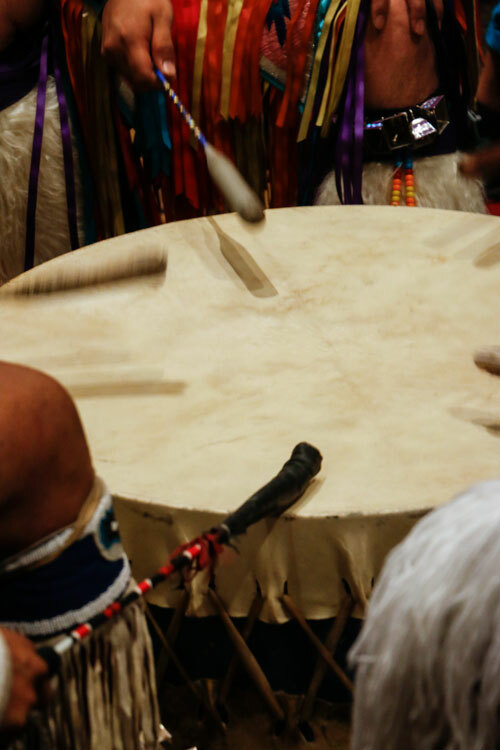 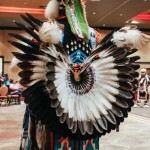 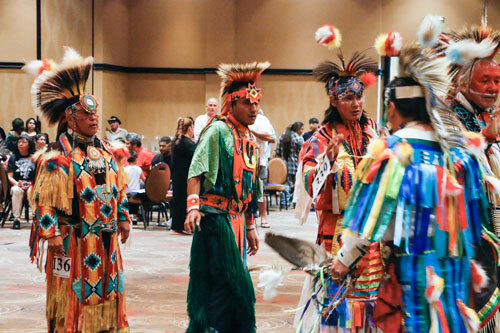 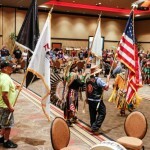 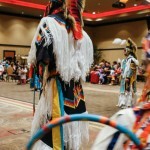 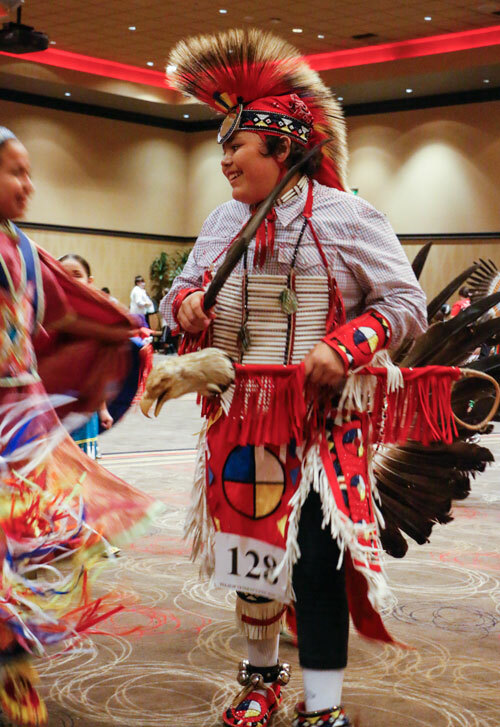 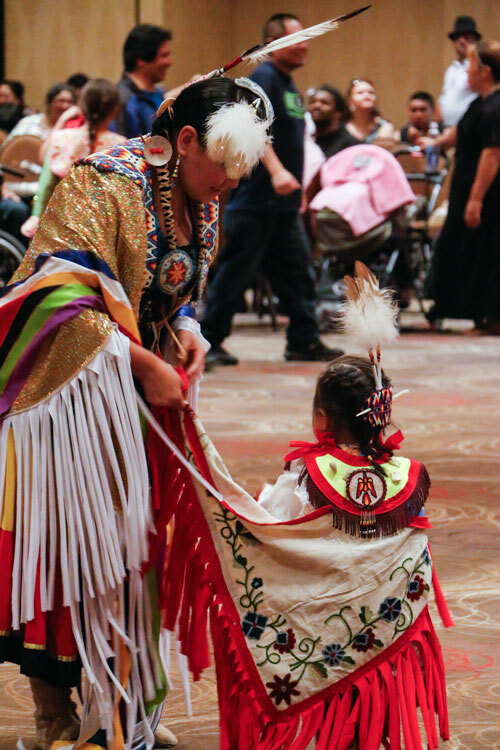 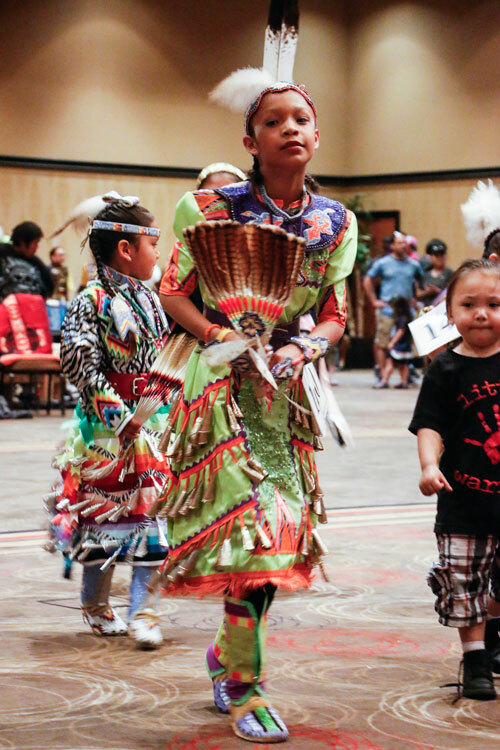 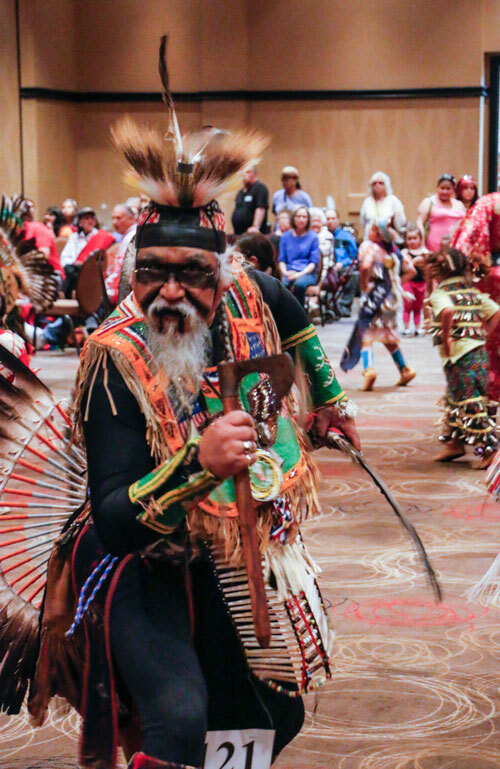 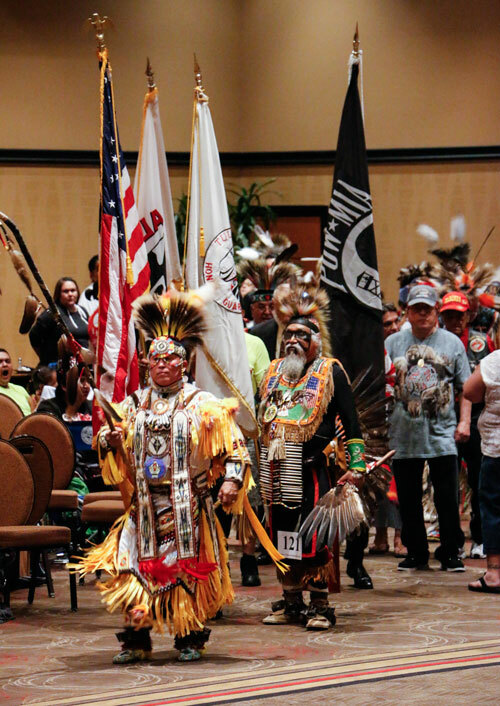 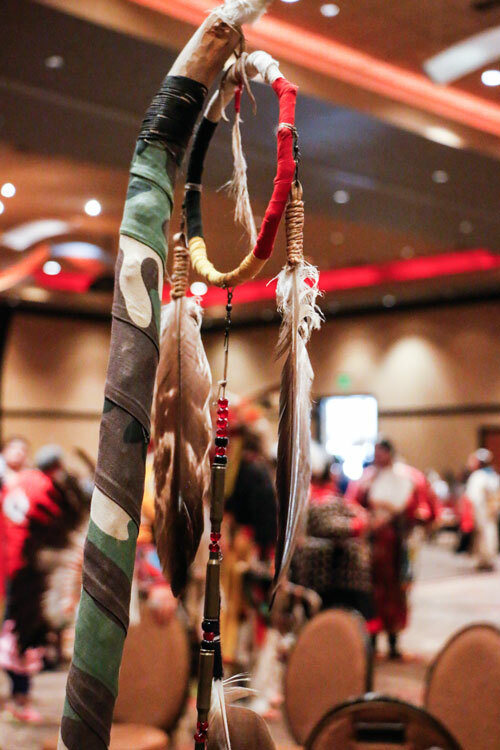 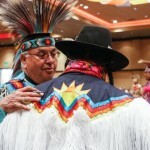 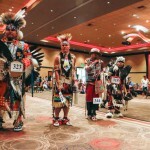 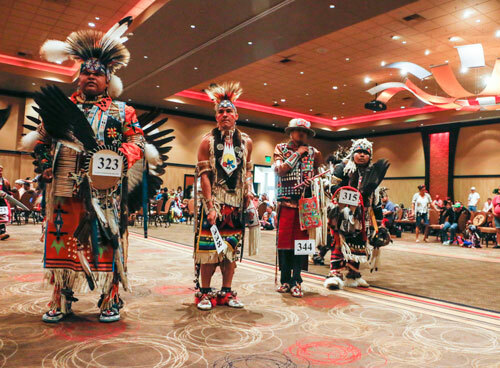 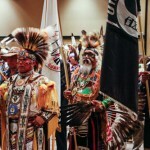 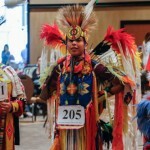 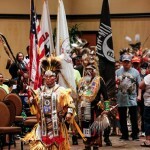 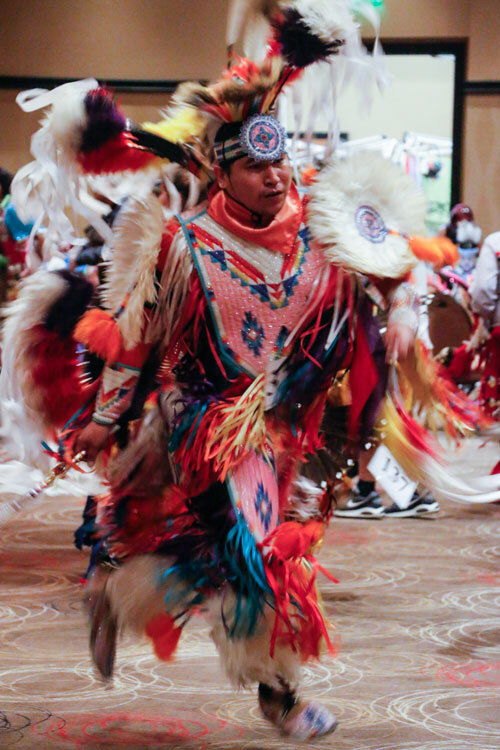 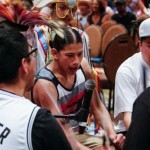 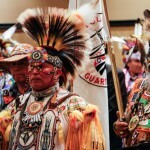 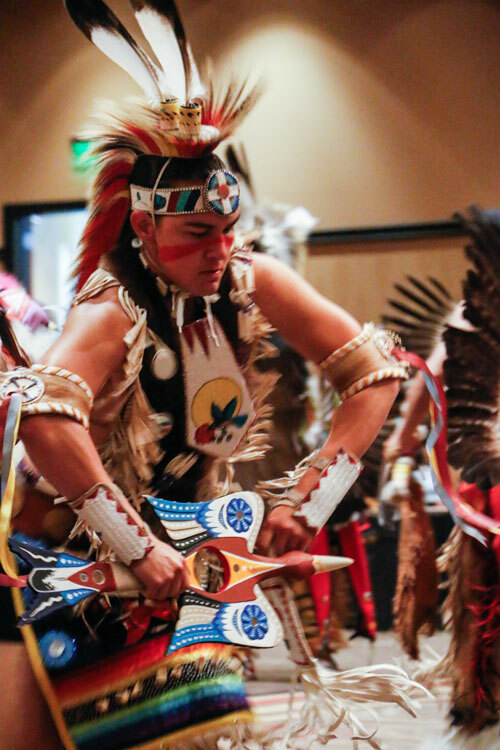 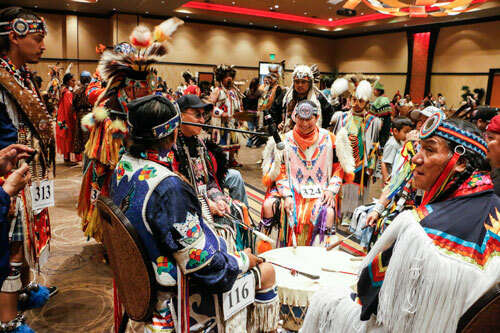 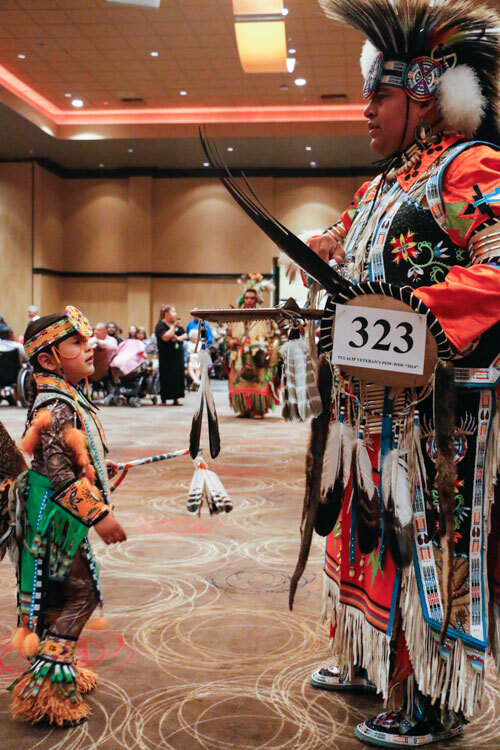 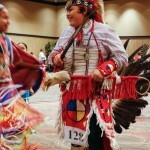 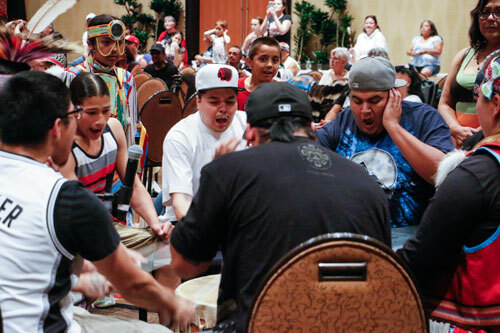 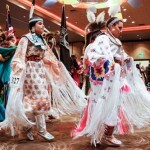 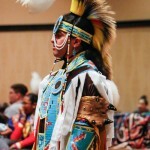 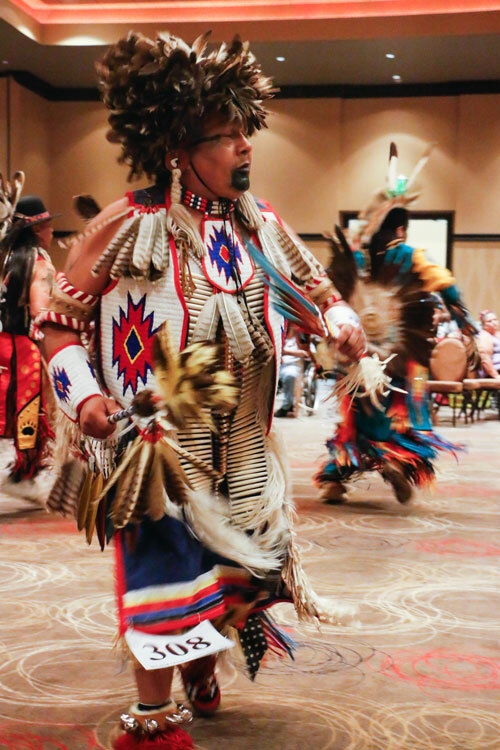 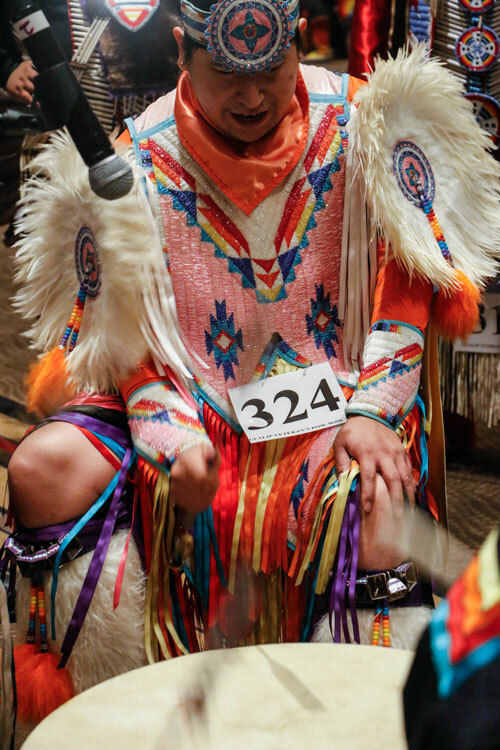 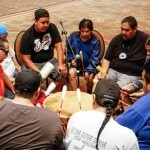 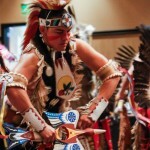 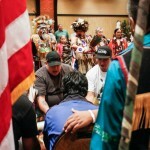 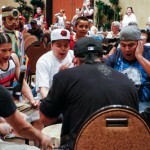 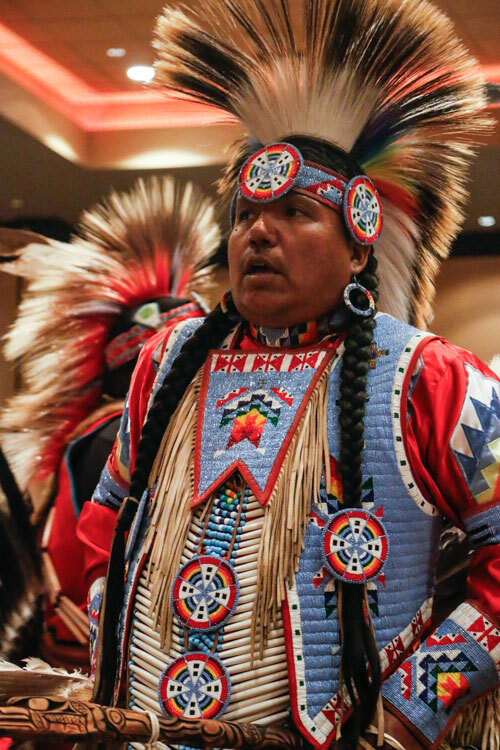 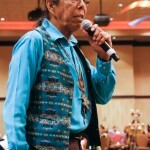 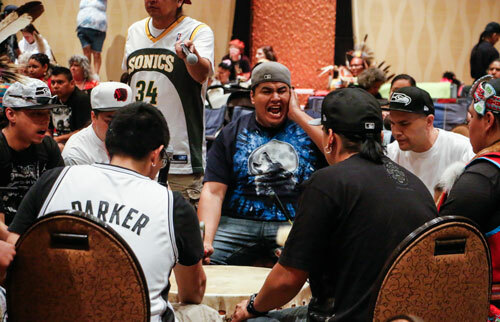 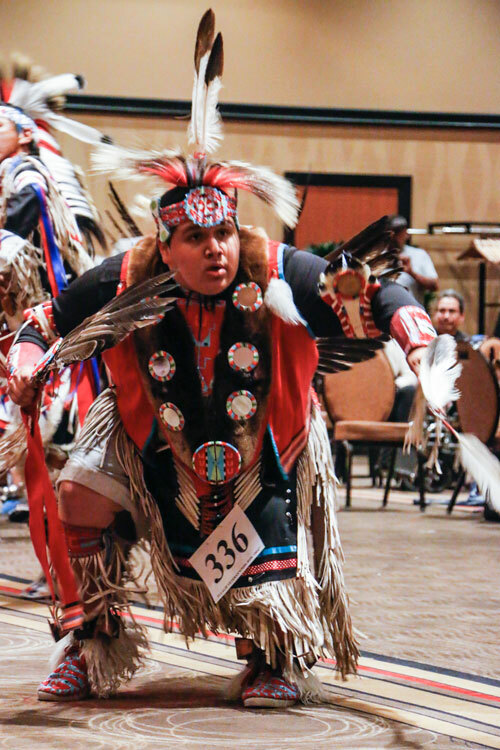 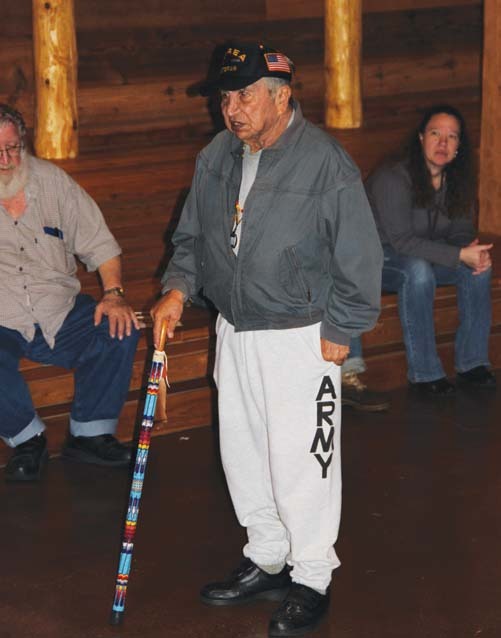 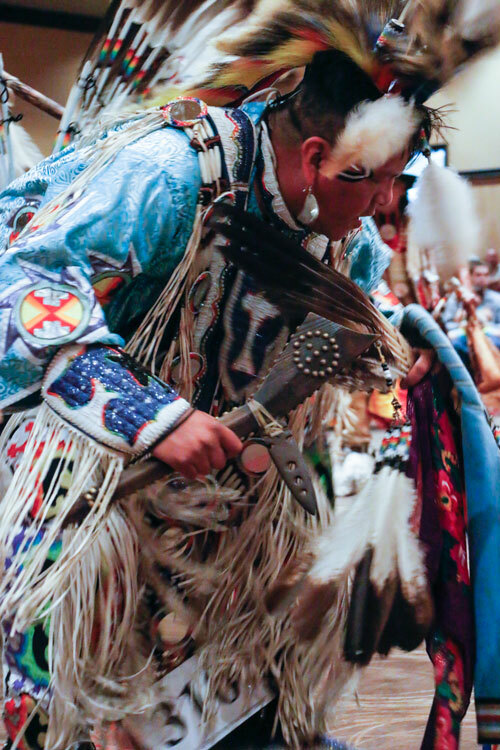 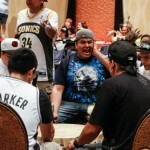 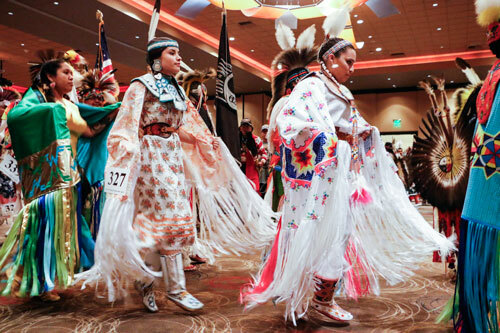 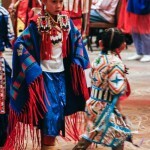 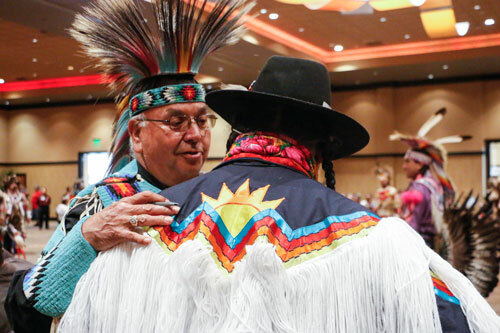 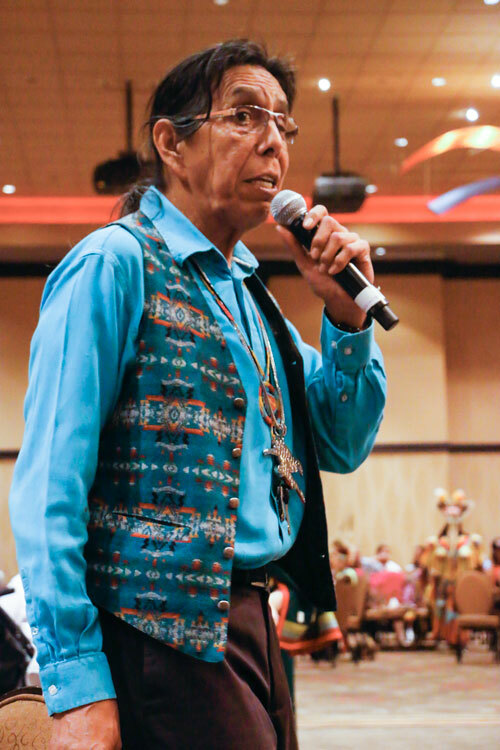 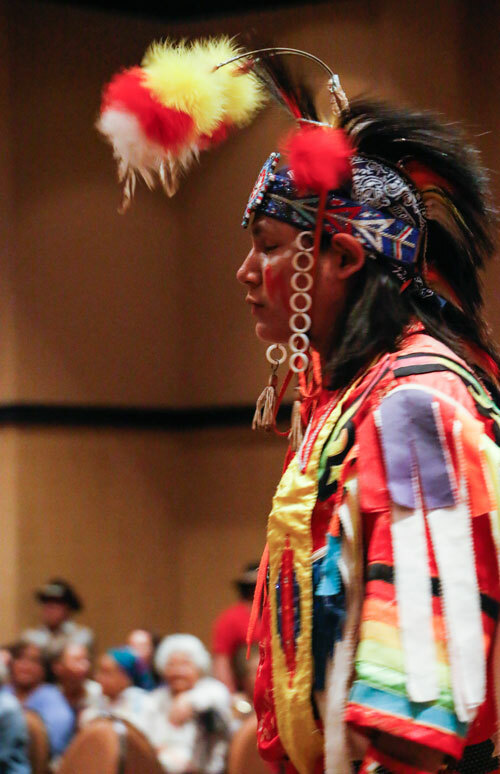 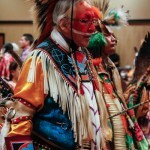 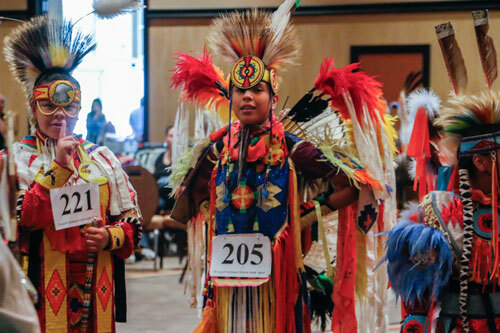 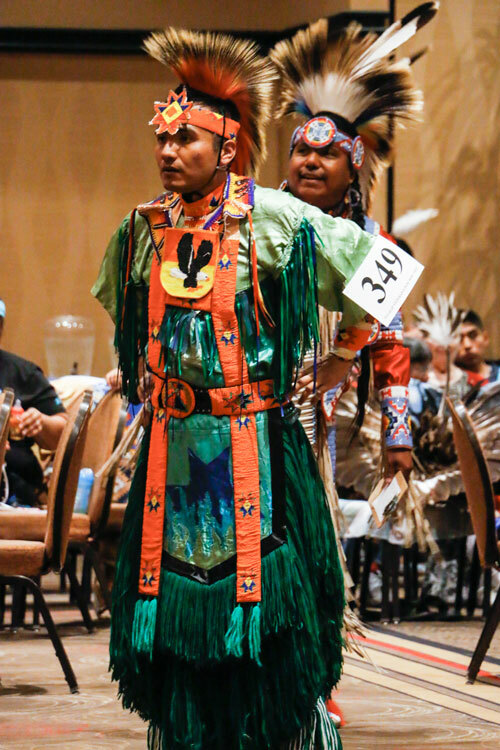 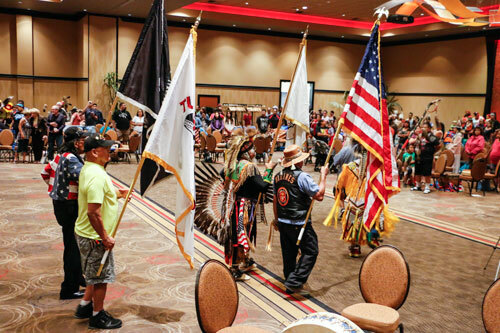 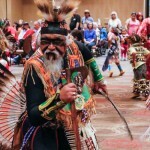 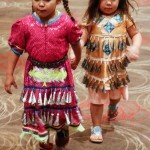 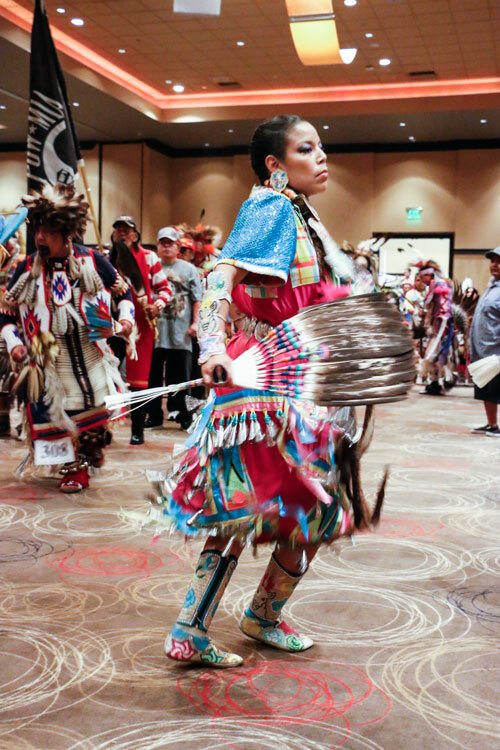 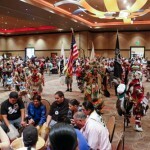 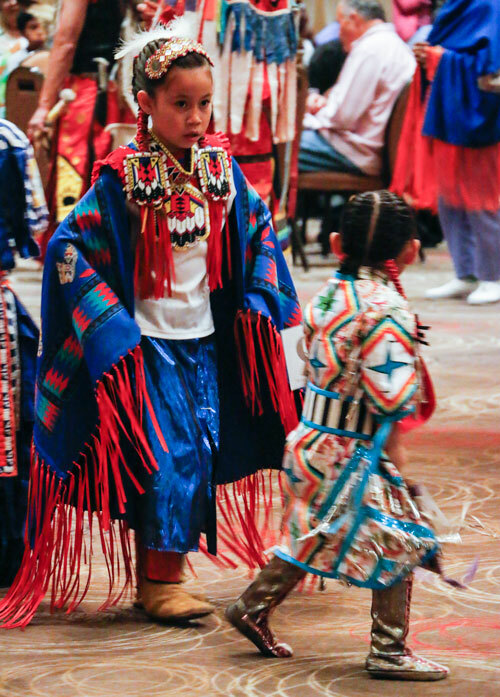 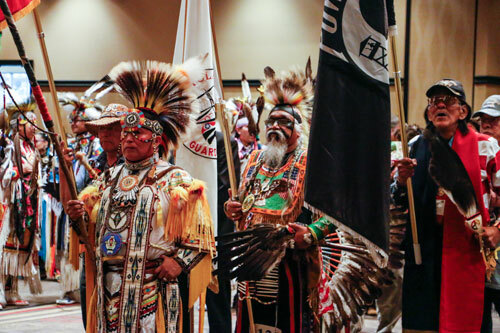 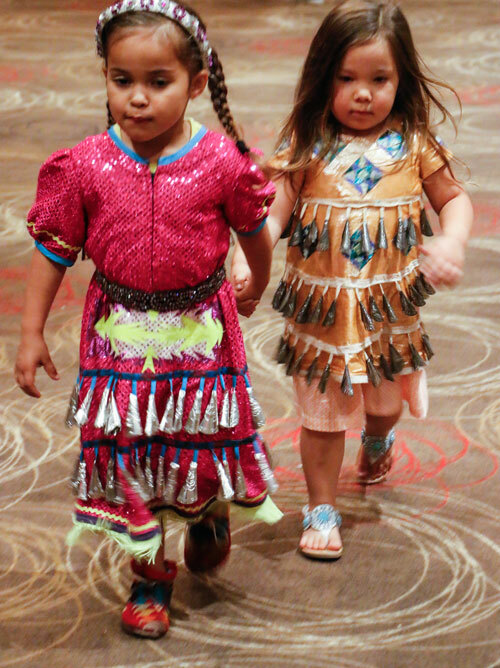 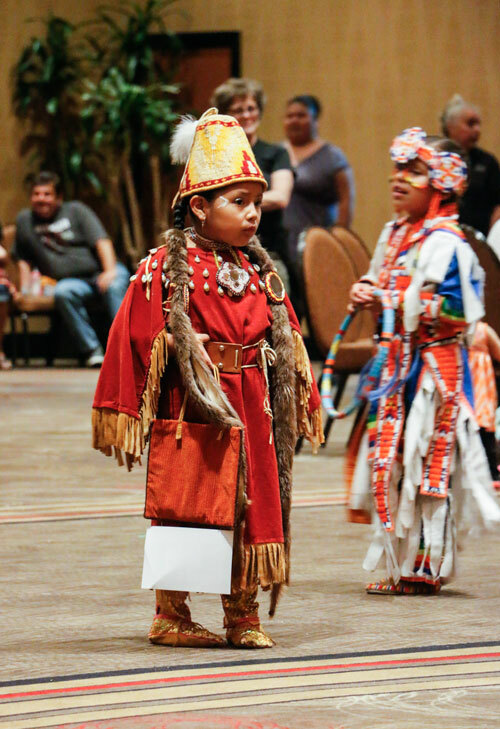 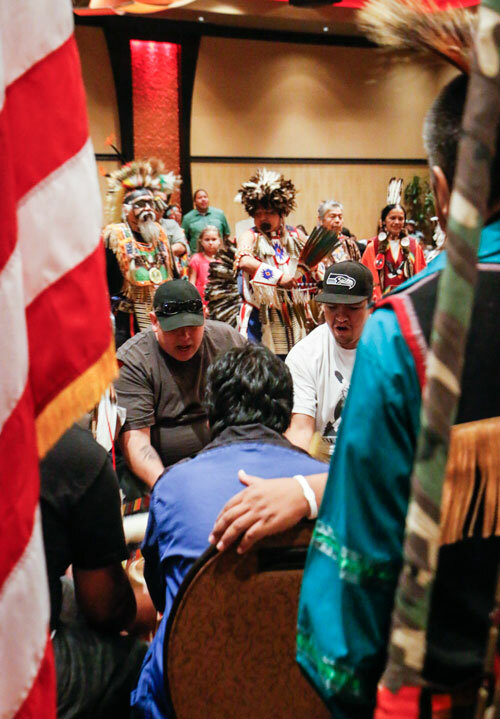 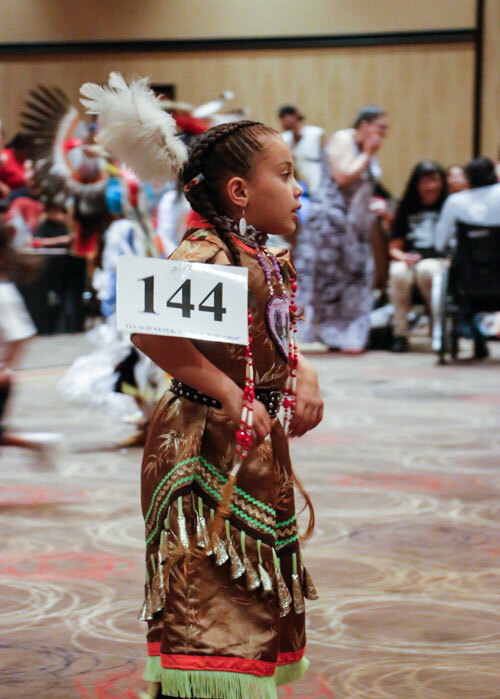 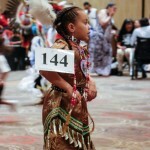 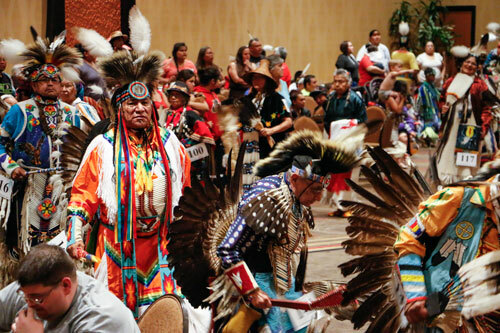 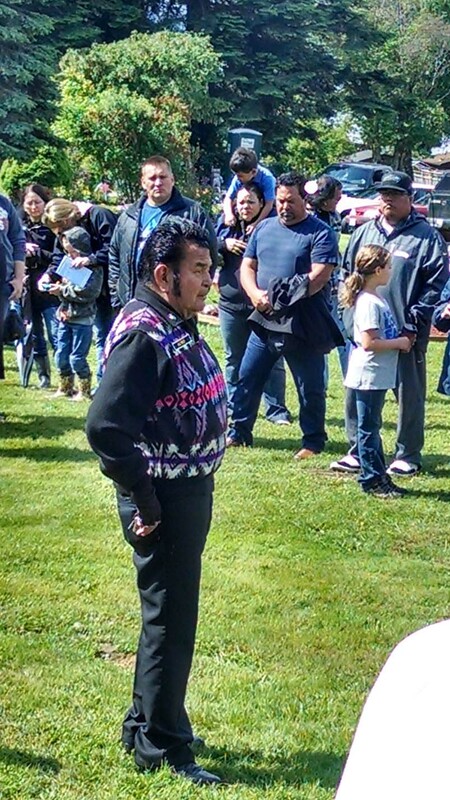 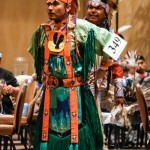 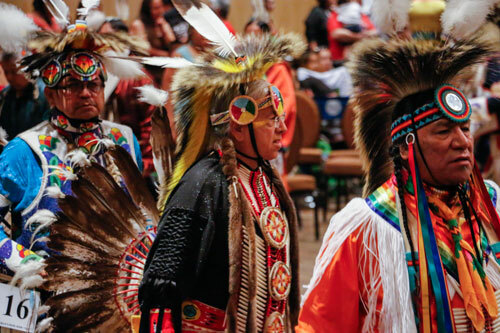 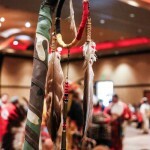 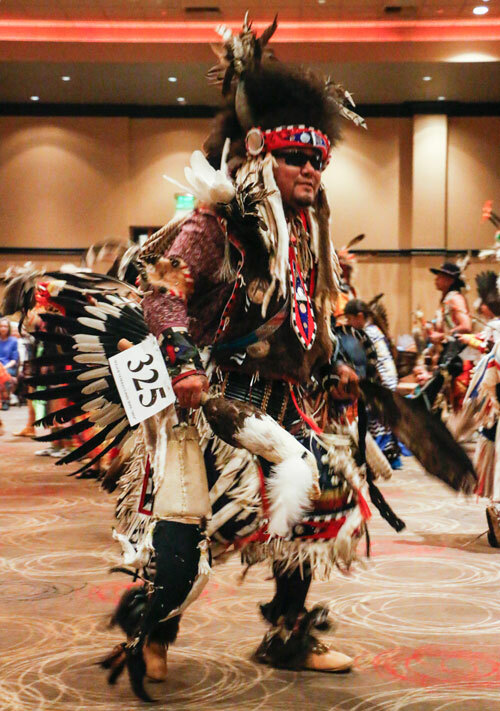 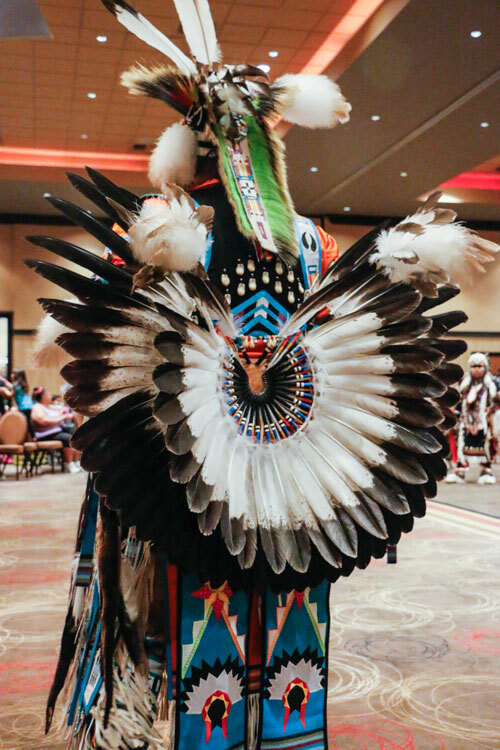 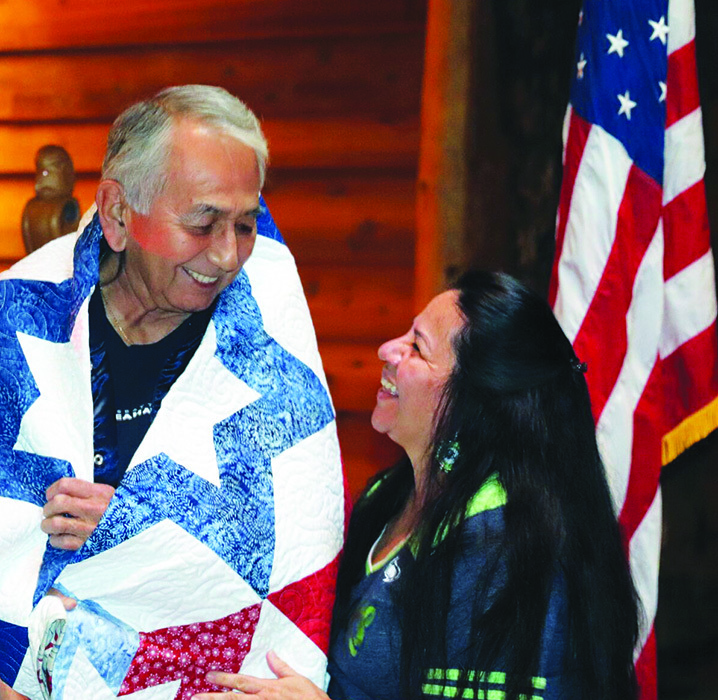 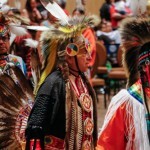 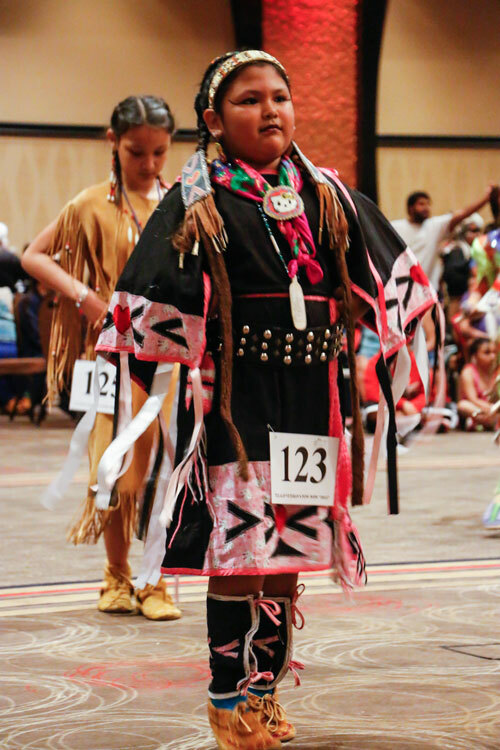 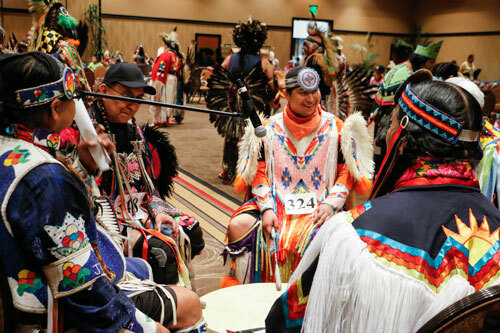 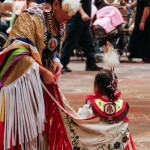 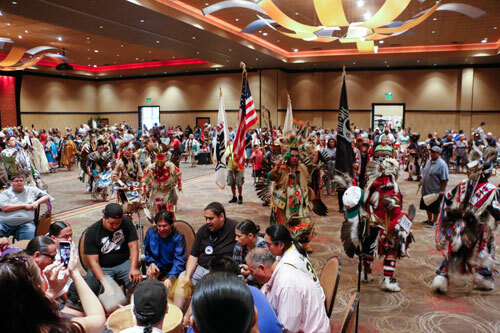 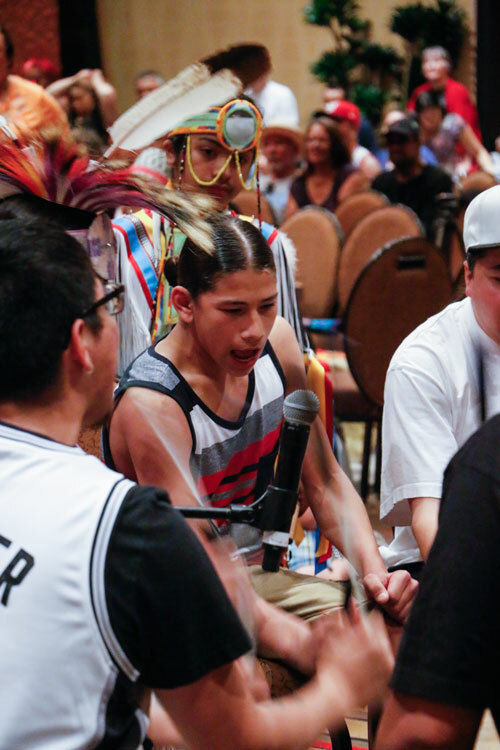 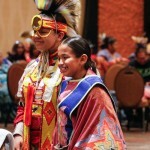 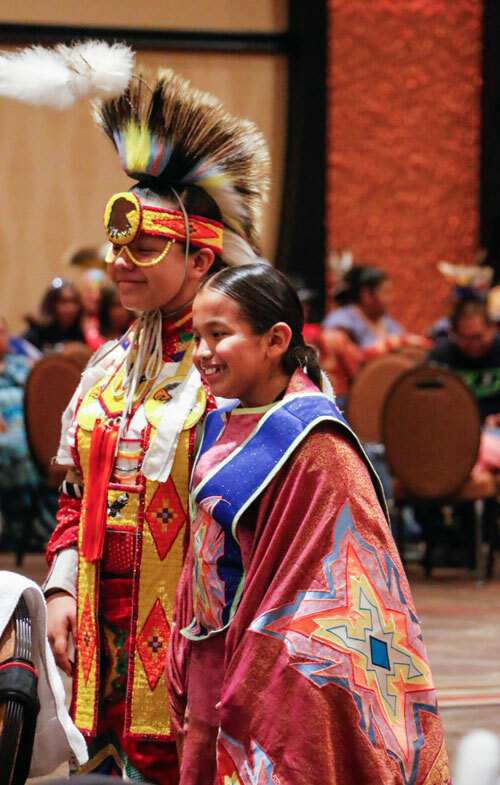 TULALIP – Tulalip Tribes held their 23rd Annual Veteran’s Pow Wow on May 30 through June 1, at the Tulalip Resort Casino. 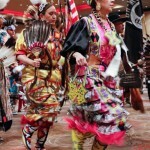 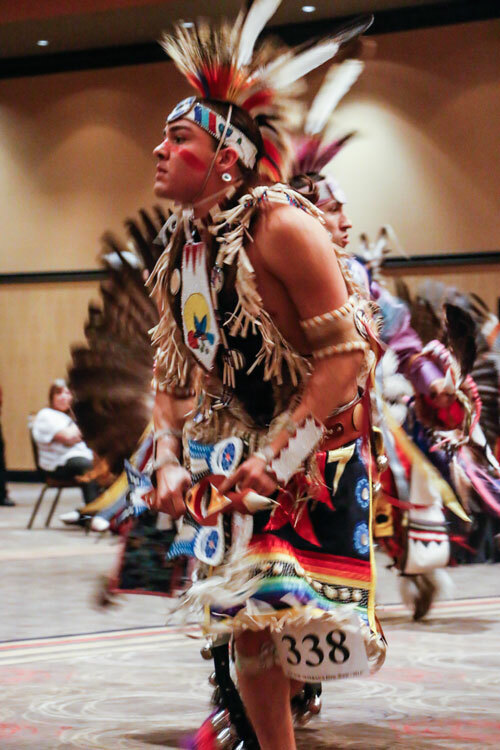 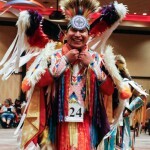 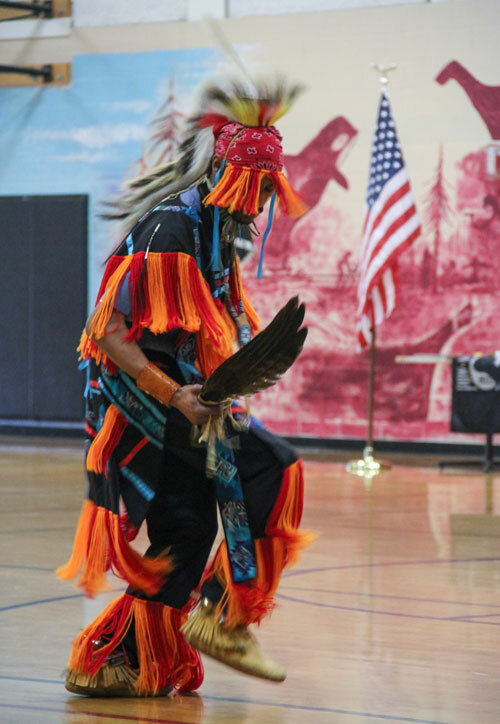 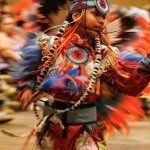 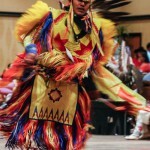 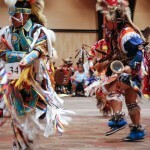 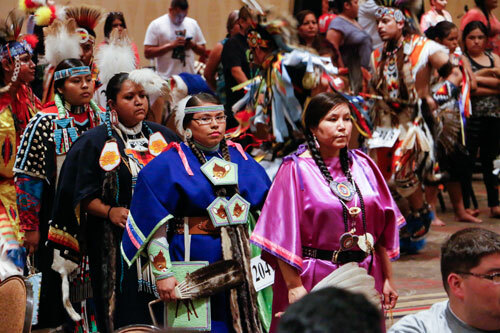 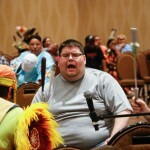 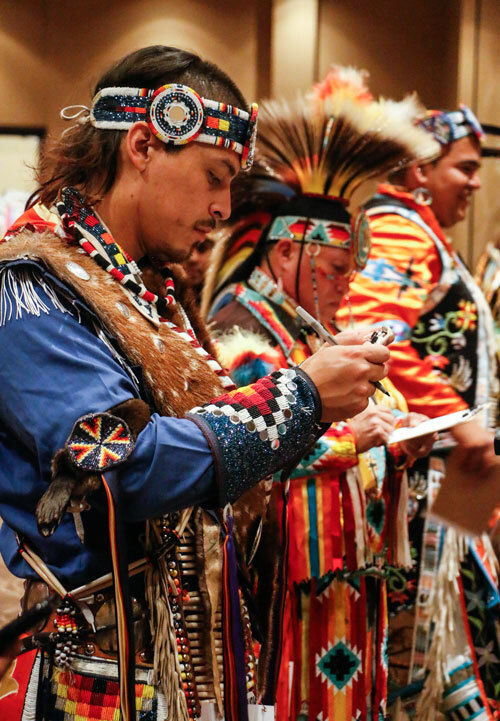 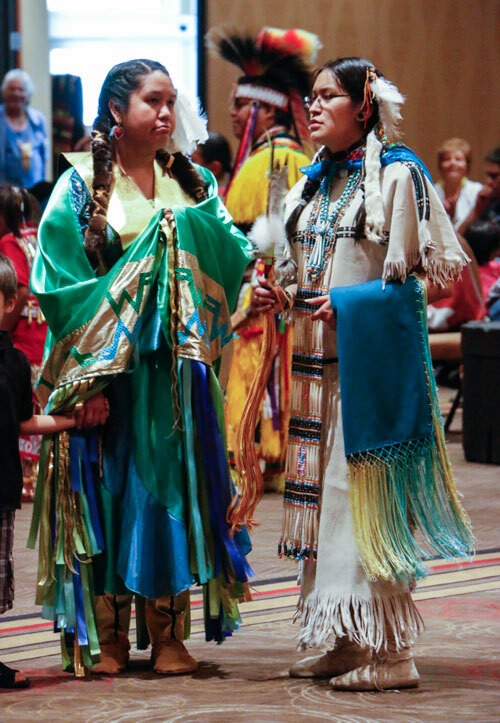 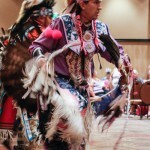 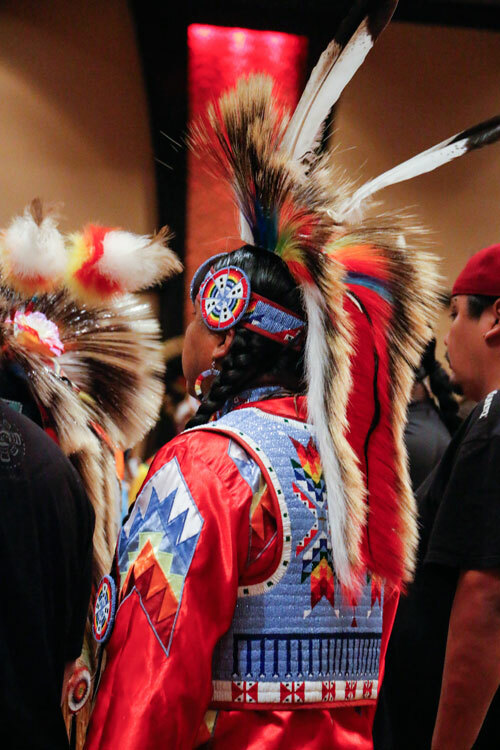 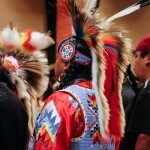 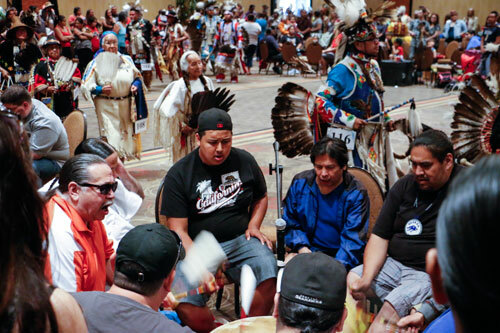 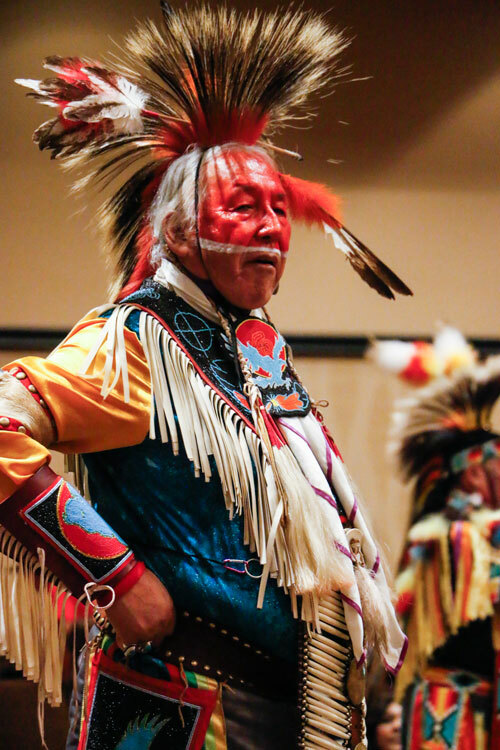 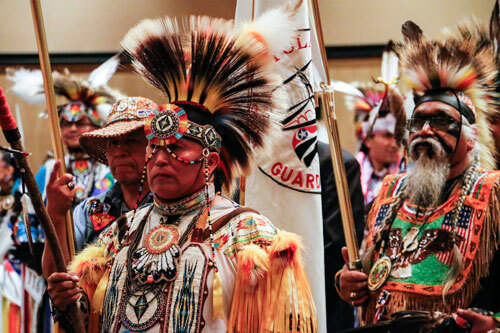 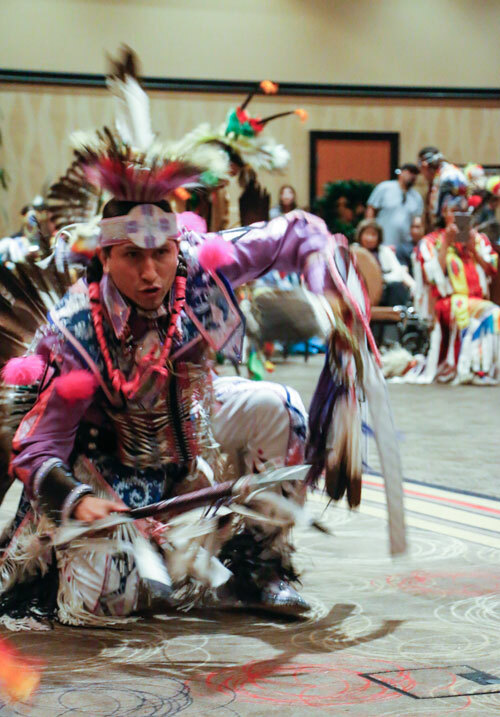 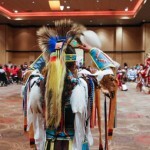 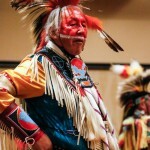 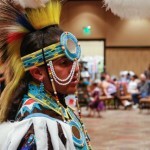 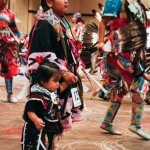 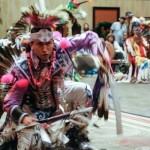 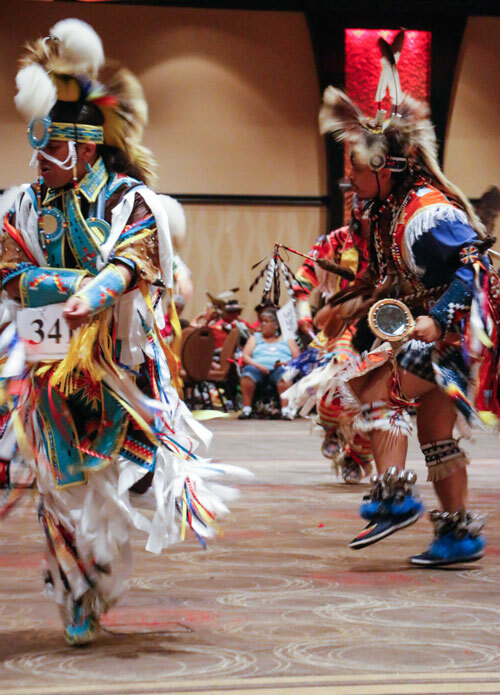 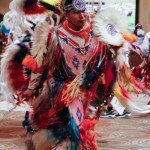 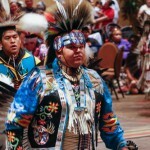 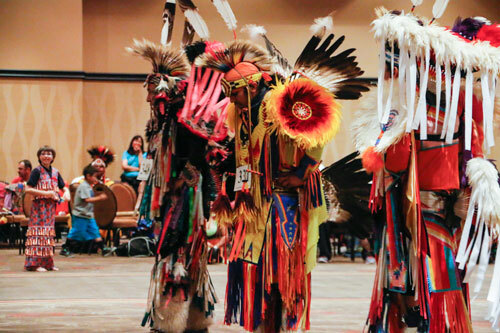 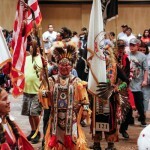 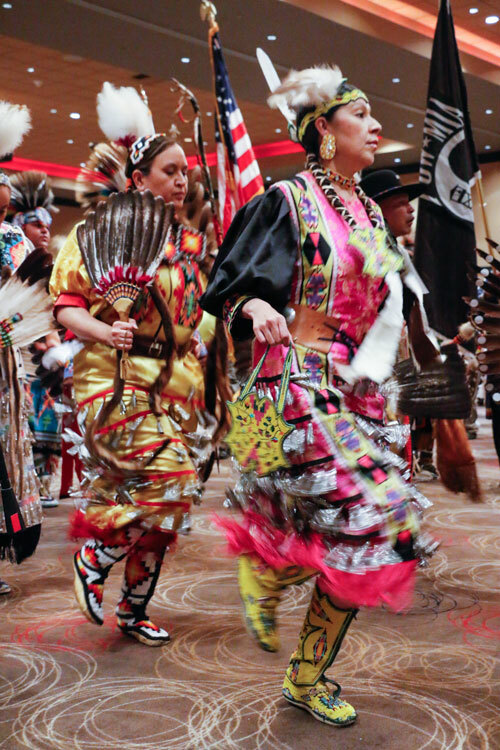 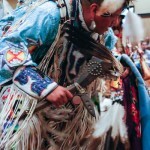 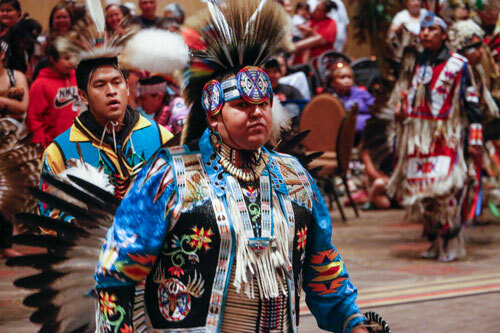 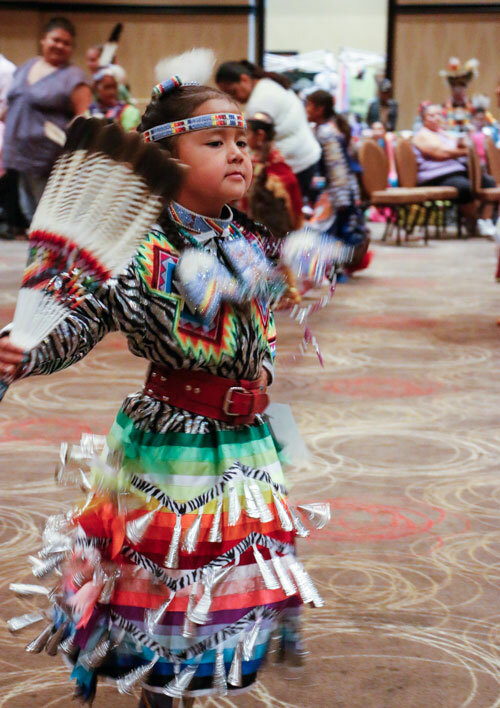 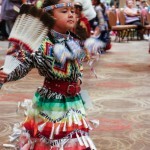 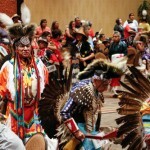 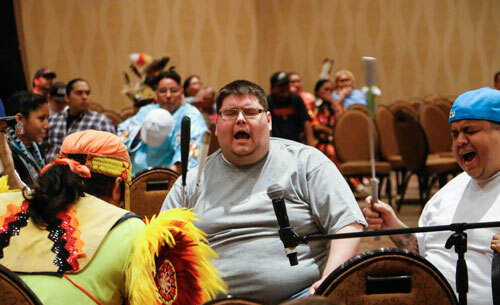 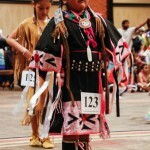 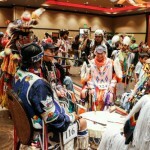 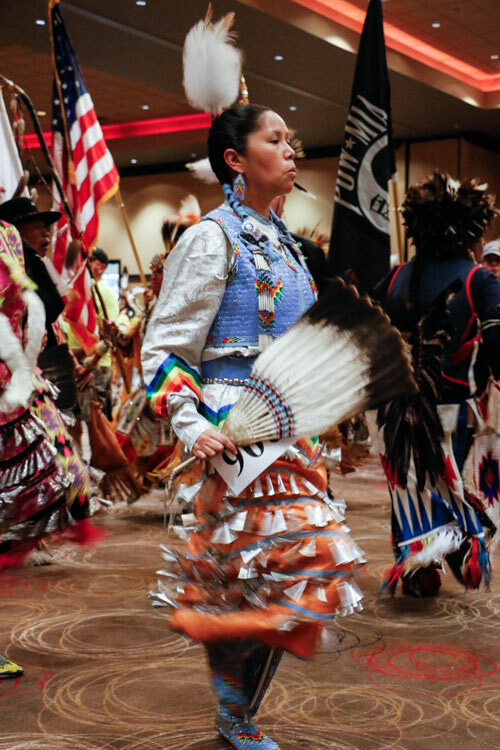 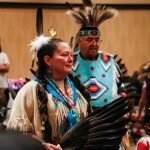 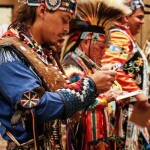 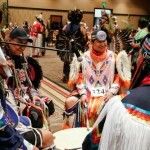 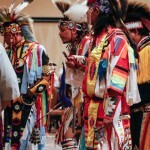 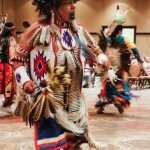 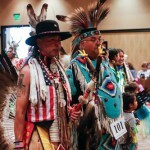 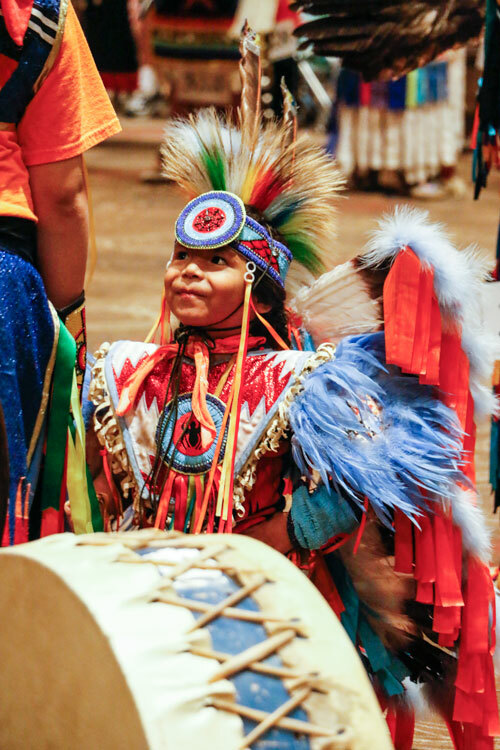 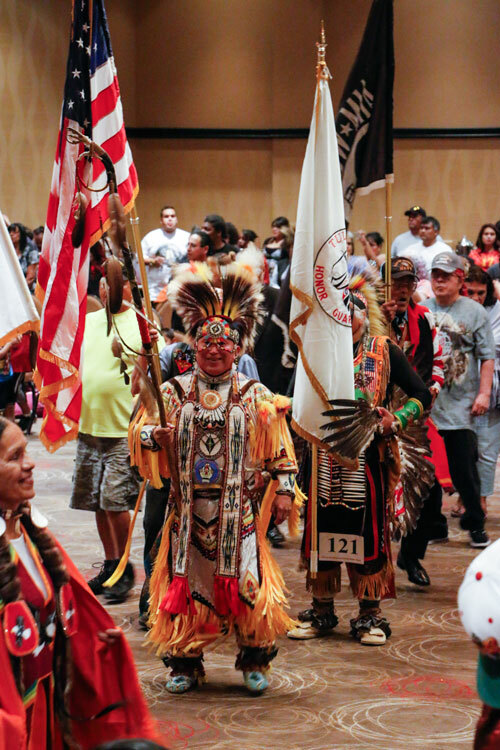 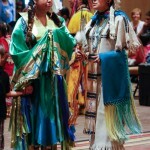 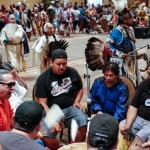 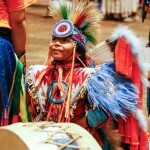 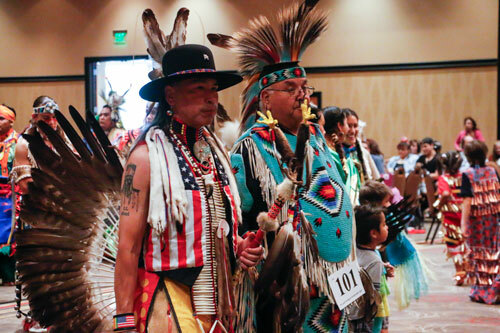 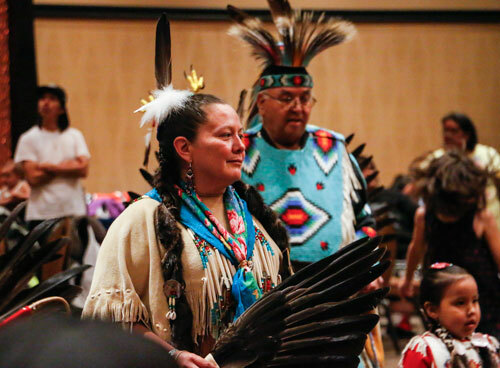 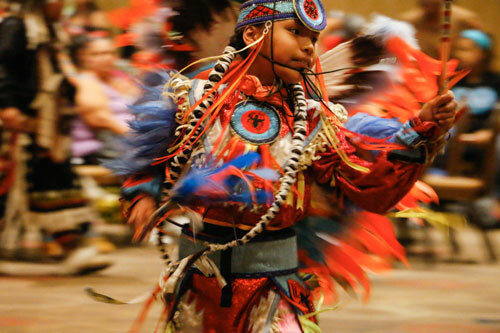 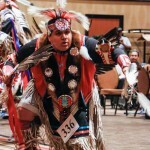 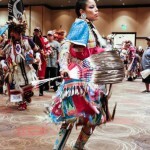 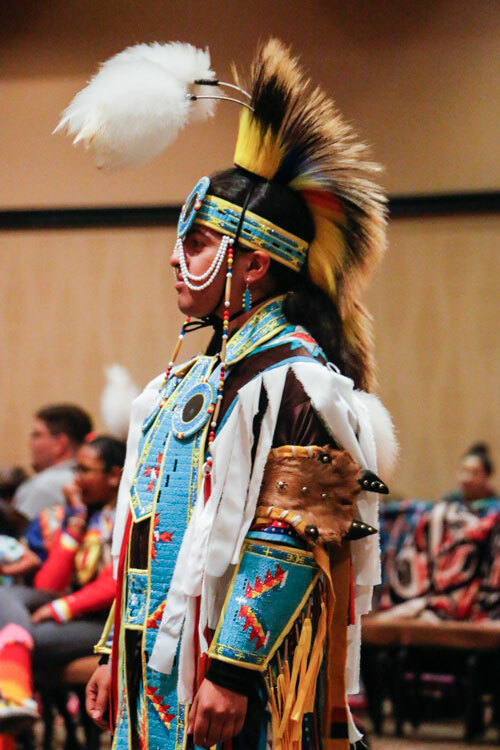 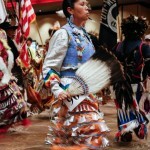 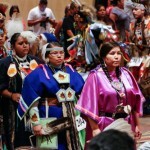 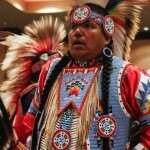 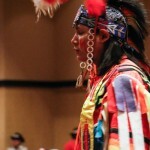 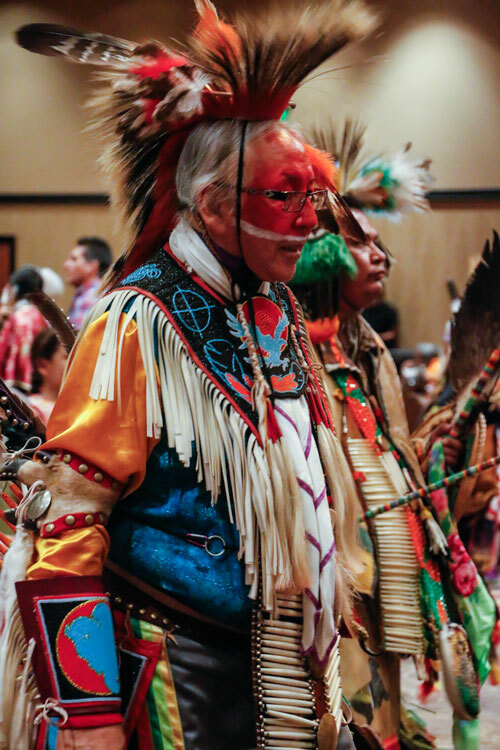 The annual pow wow celebrates current and past Native American military servicemen and women. 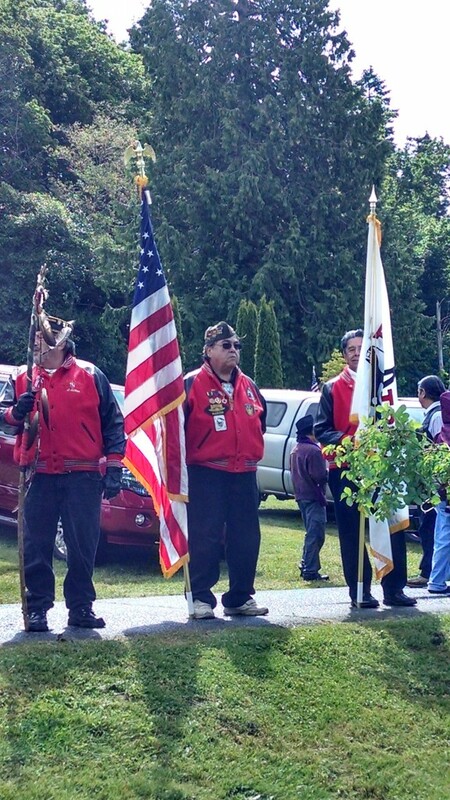 Master of ceremonies was Tulalip tribal member Ray Fryberg Sr., with Sonny Eagle Speaker as arena director and Eagle Warriors as host drum. 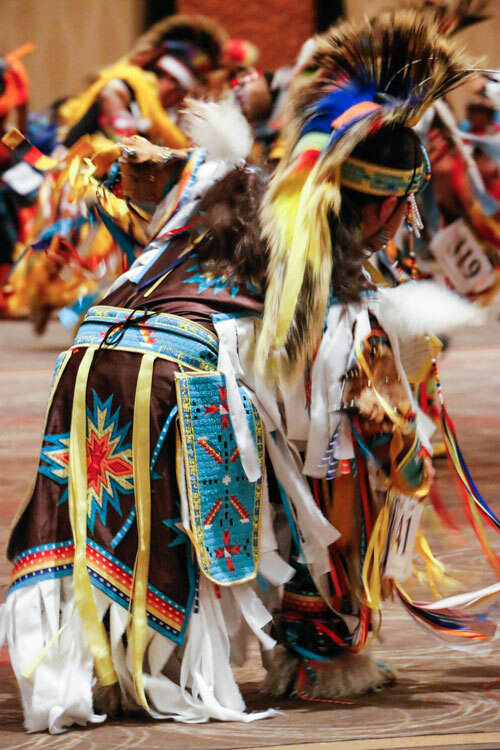 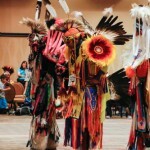 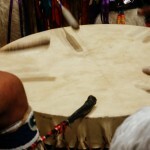 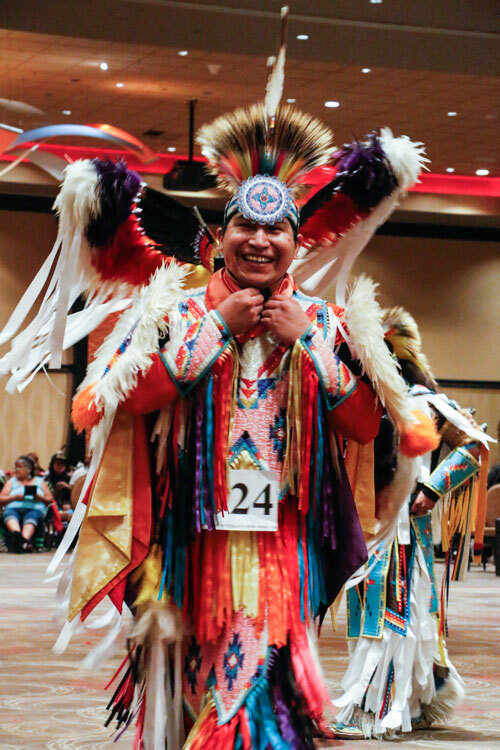 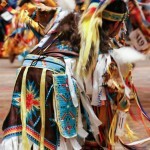 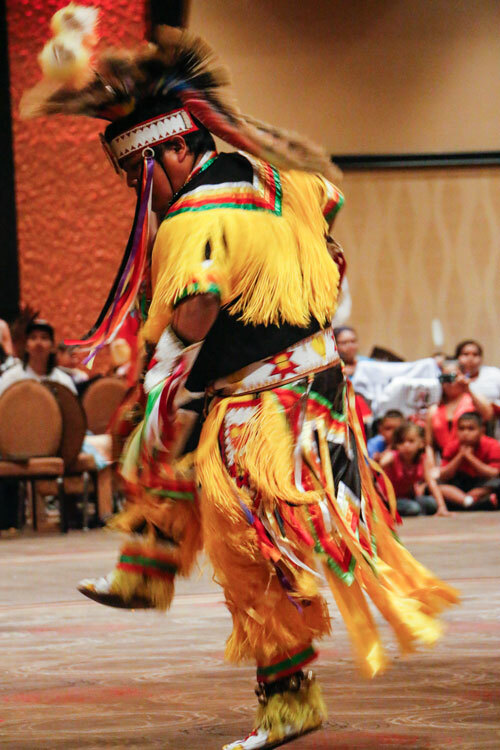 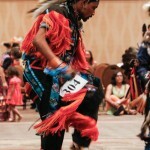 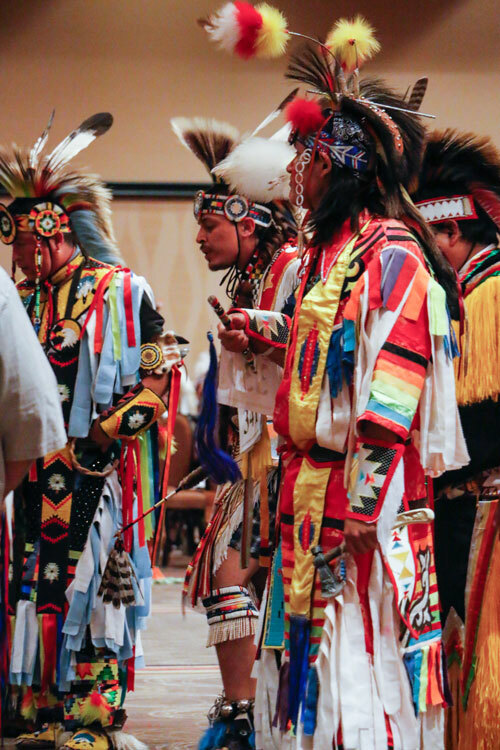 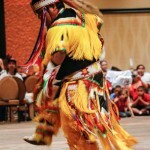 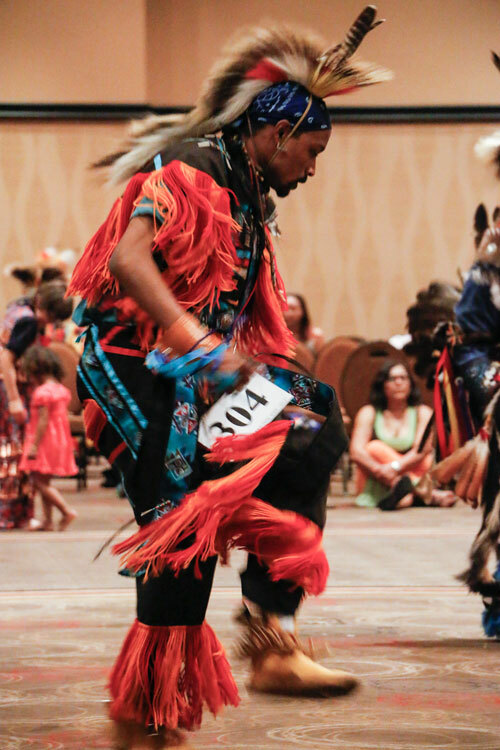 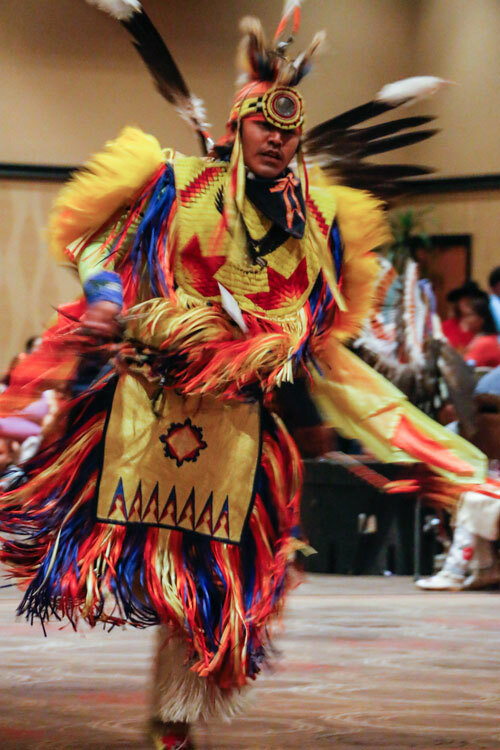 Dancing styles included women’s fancy shawl, buckskin, and jingle while men’s dance included fancy feather, grass, and northern traditional. 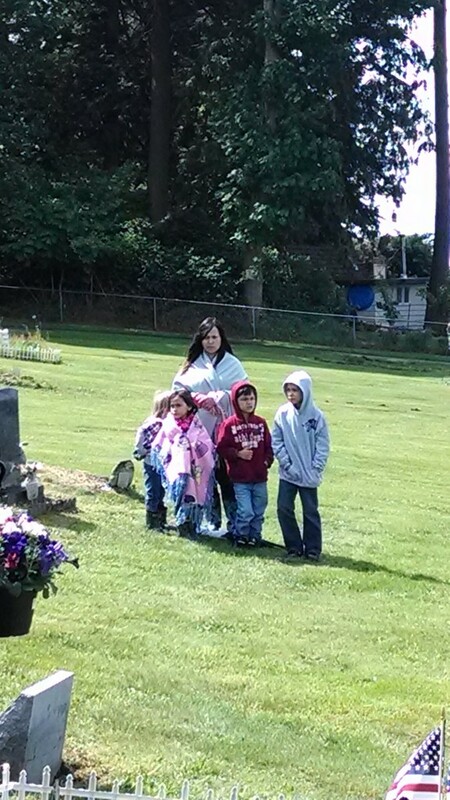 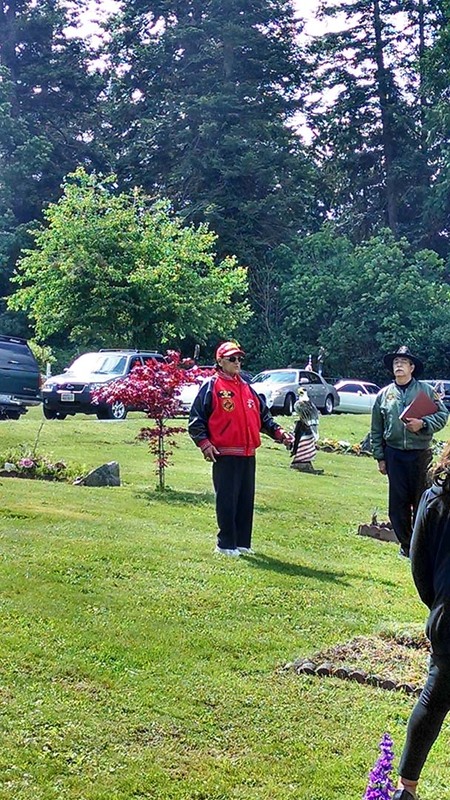 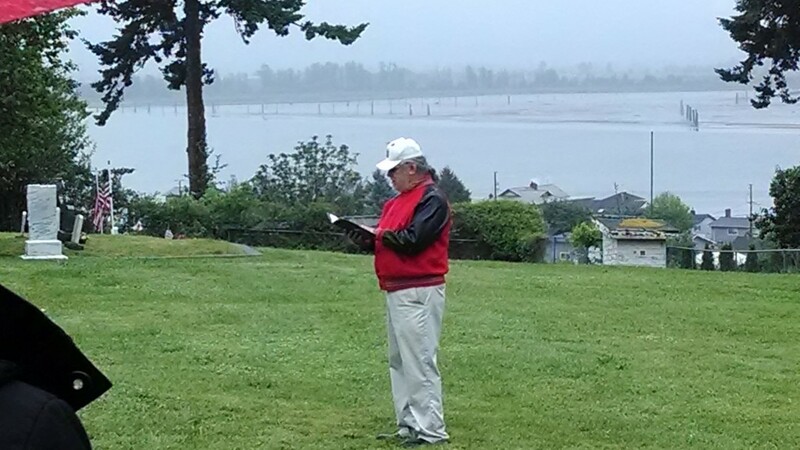 Tulalip veterans and their families, as well as the families of fallen soldiers, gathered at Priest Point and Mission Beach cemeteries Memorial Day, May 26, to remember the service men and women that gave their lives in the service of their country and to honor their sacrifice. 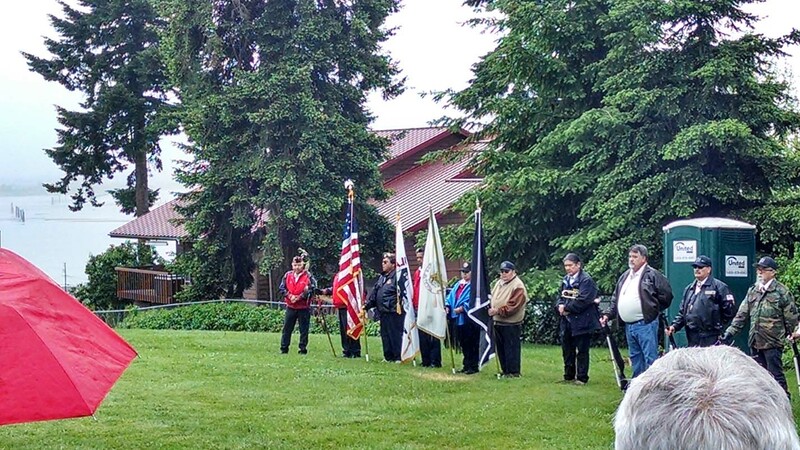 Tulalip Councilwoman Marie Zackuse said, “Today, we honor those that answered the call, when war came. 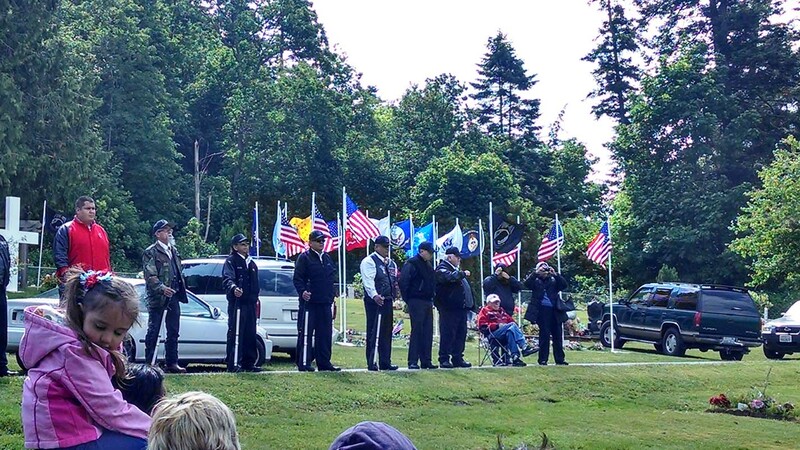 Those that answered the call and made the ultimate sacrifice. 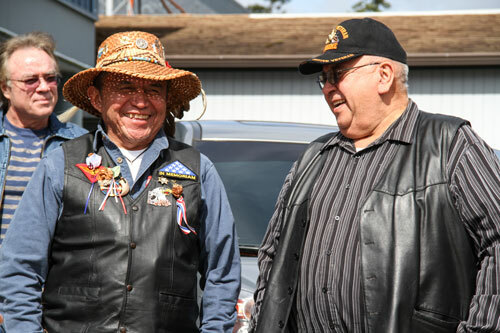 We are grateful for what they did. 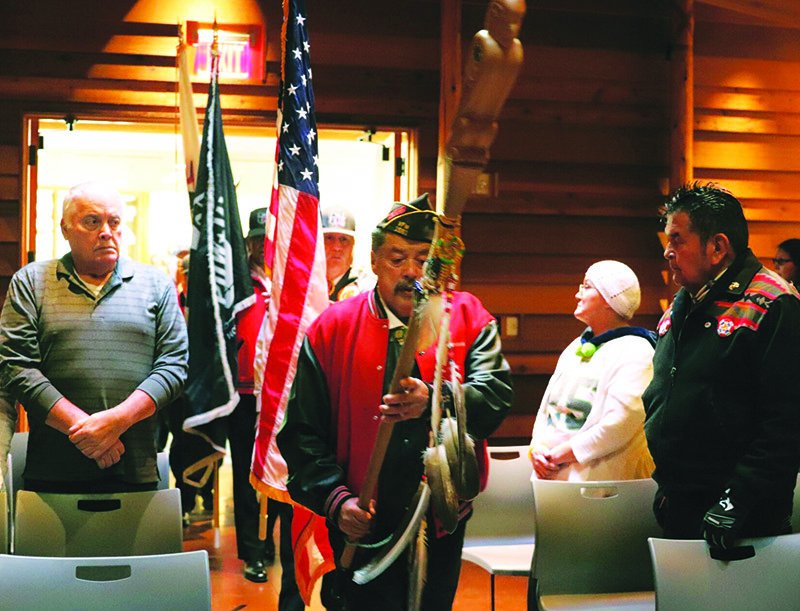 Veterans that spoke recalled their comrades and the loss of friends. 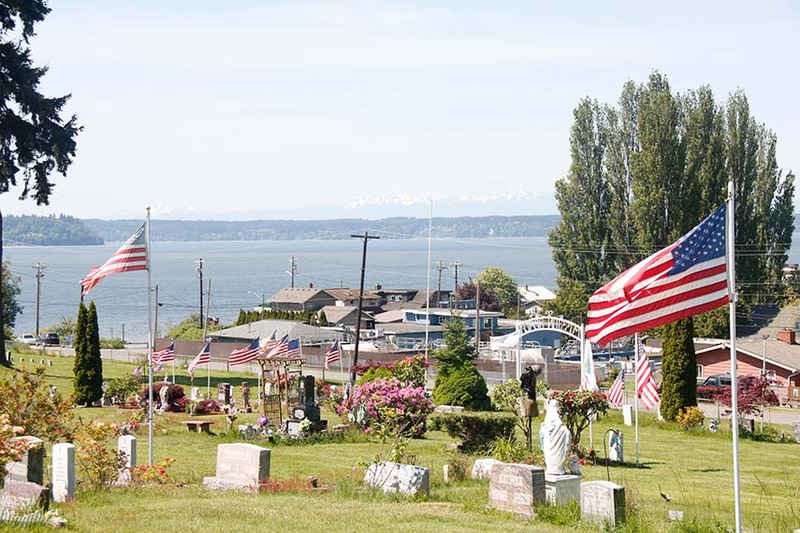 Memorial Day is a day to honor and remember the sacrifice many families made for this country, as the mothers bore the sorrow of their child’s sacrifice. 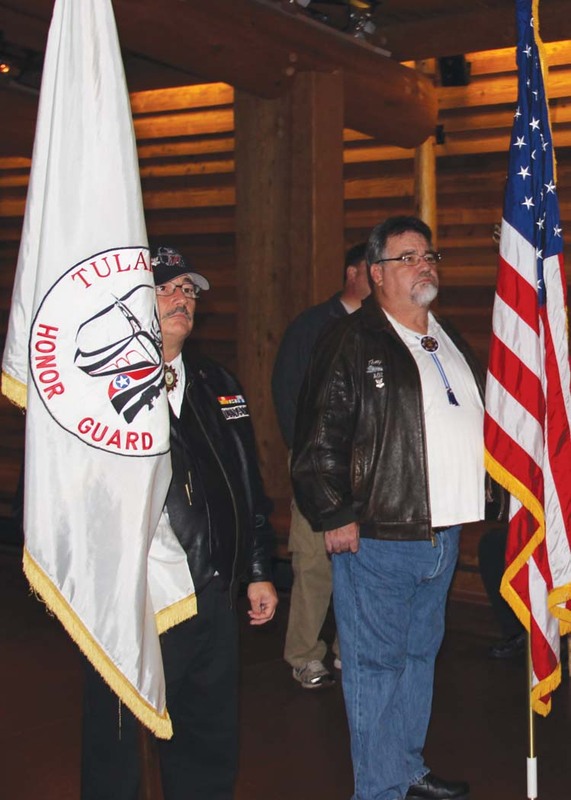 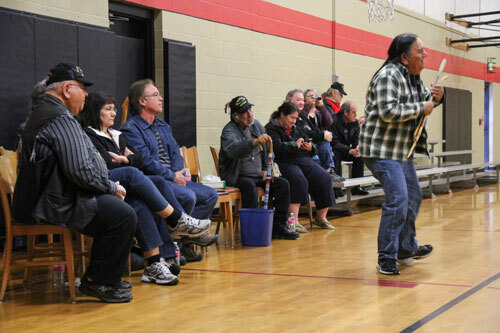 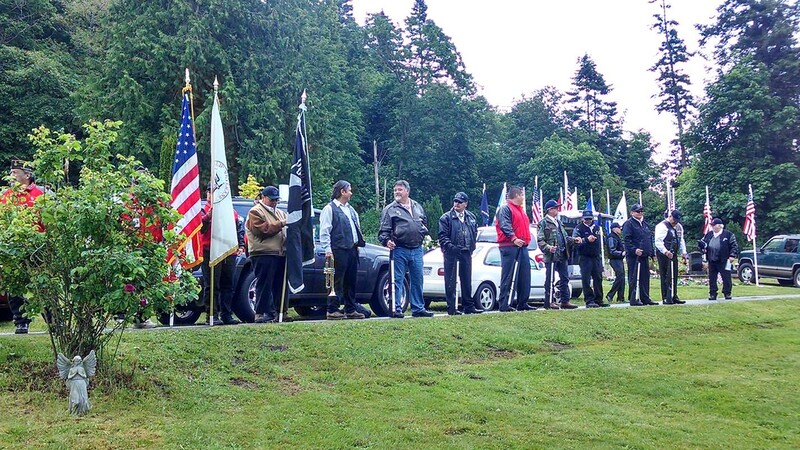 The names of Tulalip Gold Star Mothers were called in the roll call. 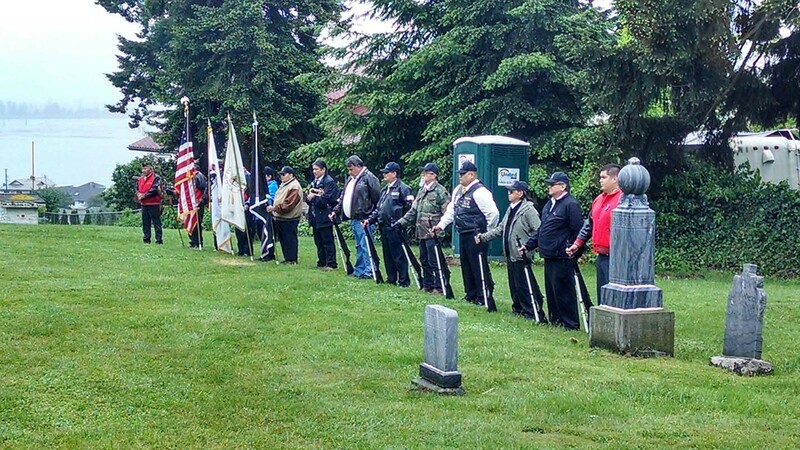 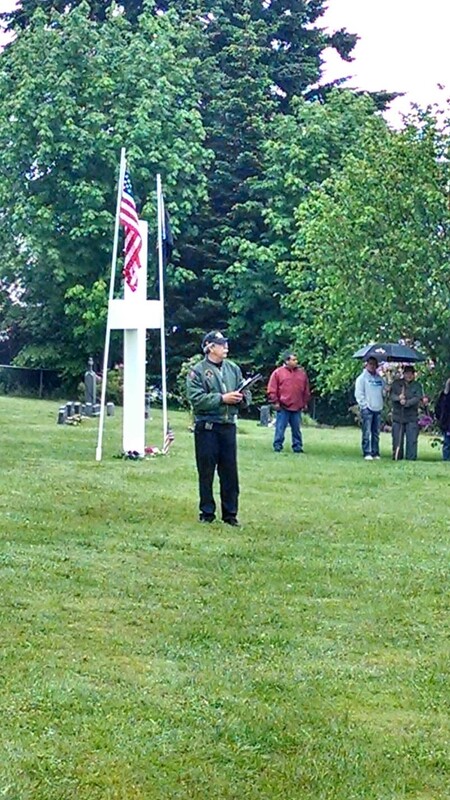 The 10:00 a.m. Memorial Day service at Priest Point Cemetery was carried out by the Tulalip Honor Guard, who stood steadfast through the pouring rain to honor the Tulalip warriors past and present. 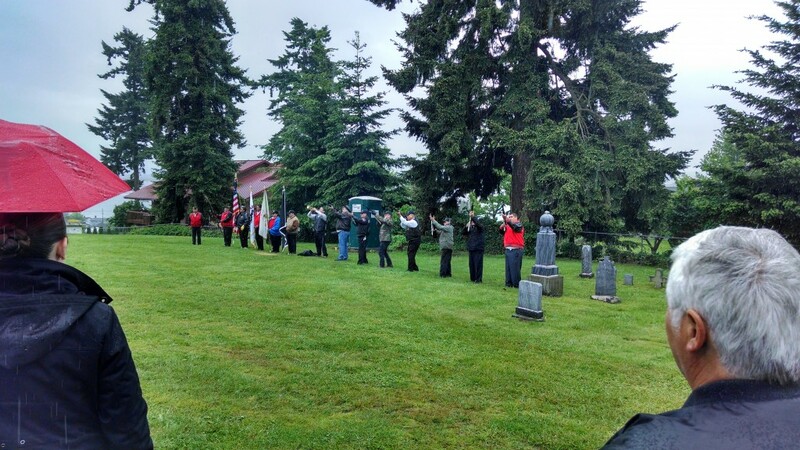 The weather cleared up for the 11:00 a.m. service at Mission Beach Cemetery, and the Tulalip Honor Guard, again, carried out their task impeccably. 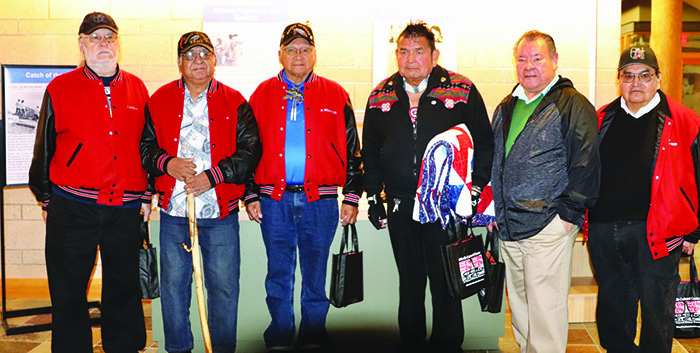 A special thanks was offered to four Veterans in particular. 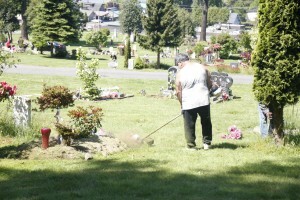 Mike Addie, Art Contraro, Tony Gobin, and Richard Muir Jr. cleaned up the two cemeteries over the three weeks prior, along with the Tulalip Maintenance staff, in preparation for the day’s activities. 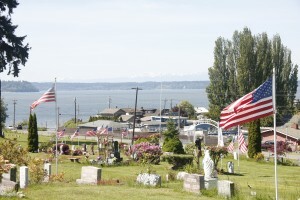 Memorial Day will be observed on Monday, May 26 this year. 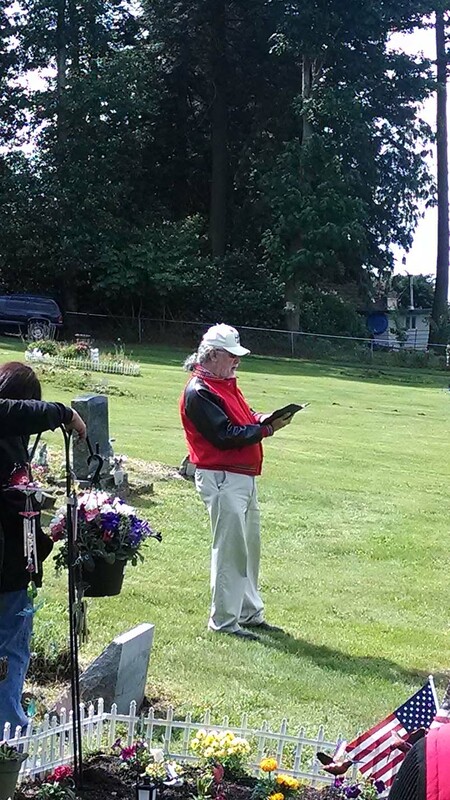 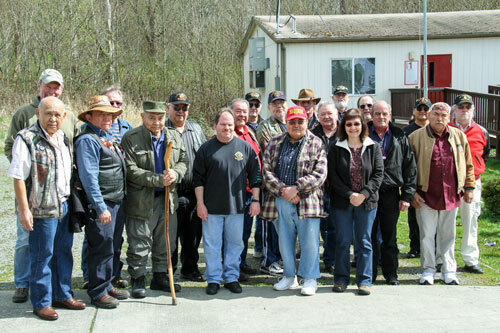 The Tulalip Veterans Department has been working hard to prepare for the ceremonies, cleaning up the cemeteries and placing flags. Mike Addie, Tony Gobin, and Richard Muir have been working at Priest Point and Mission Beach cemeteries, cleaning up gravesites and doing a bit of landscaping. 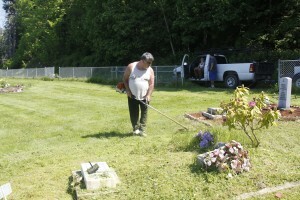 “We work on all of the graves, not just the veterans. 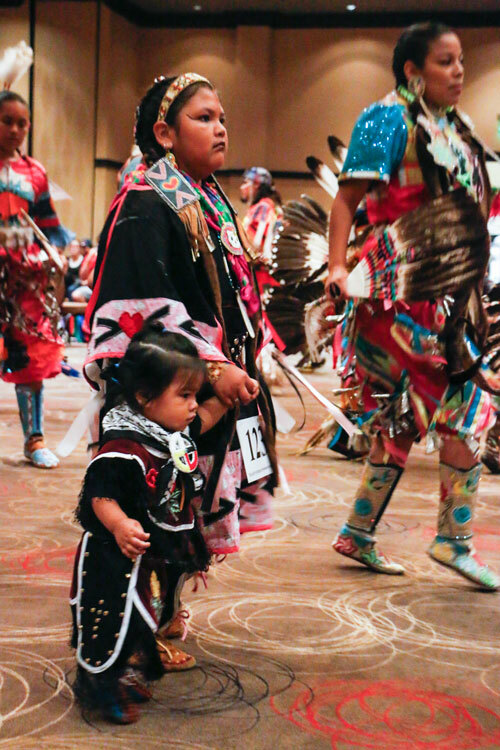 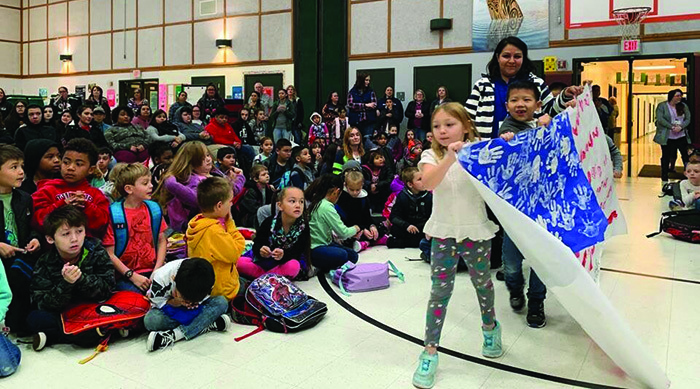 We want all of the families to be well represented that way,” said Richard Muir. 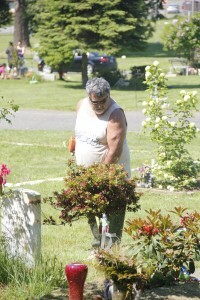 The three veterans have been working for a few weeks, and will be finished for this weekend’s activities in observance of Memorial Day. Services will be Monday, May 26, 10:00 a.m. at the Priest Point cemetery and 11:00 a.m. at the Mission Beach cemetery.